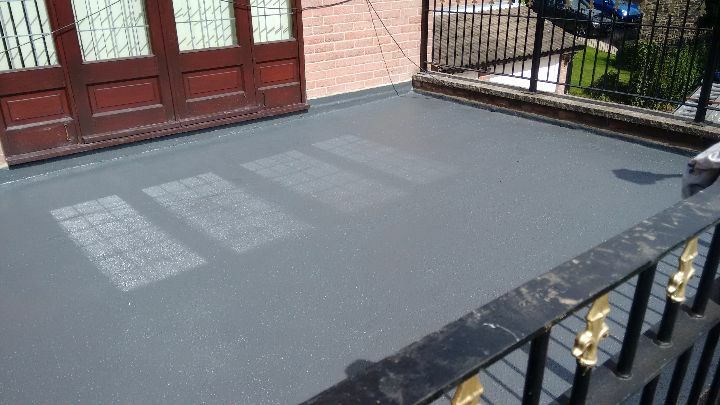 1st Active roofing installed a new, non-slip, flat roof covering for the balcony of this large, detached home in Maltby, Rotherham, using the GRP fibreglass flat roofing system. 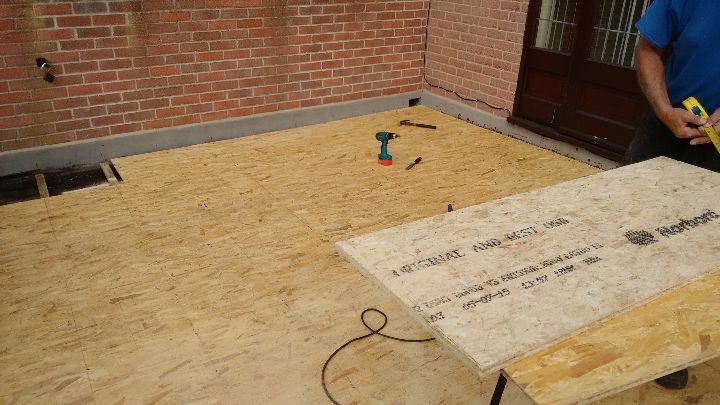 We fitted new OSB boarding over the concrete roof before applying two fibreglass layers. 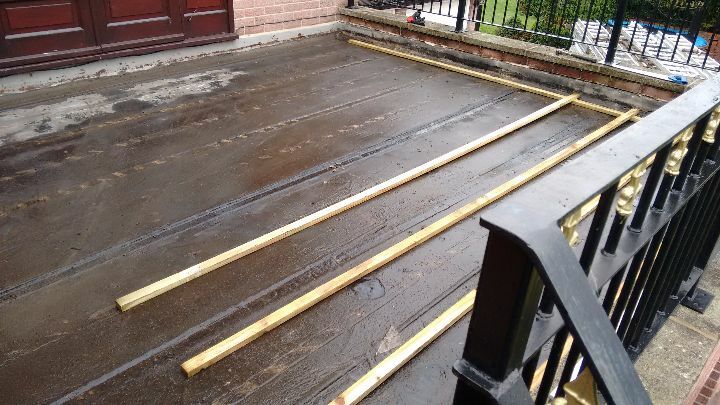 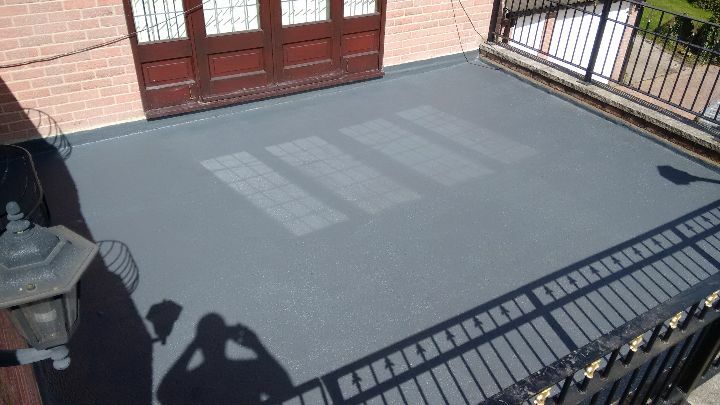 We then applied a non-slip coating and finished off with a dark grey top coat.